Do you get 5 a day? Christmas is here again and that usually means there is lots to do and lots to eat. So if you’re partial to festive overindulgences that can leave you feeling bloated and sluggish, here are ten tips for keeping your digestive system healthy over the silly season. Fundamental at any time of year, staying well hydrated keeps the body’s cells bathed in a fresh supply of oxygen and nutrient rich blood flow. Drinking plenty of water throughout the day improves digestion, detoxification, mental alertness and the skin’s appearance, especially if you fancy a tipple with your fruit pie. Get at least 1.5 liters each day. Helping to flush out the digestive system, activate the liver, alkalise the system and normalise digestive secretions, drinking the juice of half a fresh lemon diluted in a glass of warm water each morning, is a great way to help kick start the digestive system throughout the festive season. Recognised the world over as one of the most effective natural medicines for digestive disturbances, keeping plenty of ginger handy is a good idea if your planning a winter feast. A warming stimulant and carminative, ginger increases blood flow to the digestive system, enhances digestive secretions, soothes the intestinal mucosa and relaxes cramps. An anti-inflammatory, antioxidant, liver tonic and anti-emetic, ginger can also help to alleviate nausea, travel sickness or a hangover. Make a tea by peeling and slicing a thumb sized piece of the fresh ginger root before brewing in boiled water for five minutes. Taking probiotics throughout the festive season can help to ensure the digestive system is ready to handle one too many overindulgences. For more about probiotics read Probiotics for Bloating. Optibac Probiotics One week flat is specifically formulated to help support digestion and promote a comfortably flatter stomach. Very handy if you've a soft spot for all the Christmas finger food. A tasty staple in many kitchens, apple cider vinegar is also a potent digestive tonic rich is digestive enzymes and nutrients. Best taken uncooked, either neat, diluted in a little water or added to dressings, a tablespoon or two taken with large or particularly rich meals can help to prevent complaints like indigestion and bloating when we bite off a little more than our ability to produce digestive enzymes can chew. A teaspoon diluted in warm water with a little honey and lemon is also great for a sore, dry throat. My favourite is the raw and unfiltered Bragg Organic Apple Cider Vinegar. Digestive enzymes are required to break down the foods we eat. Their production reduces with age but can also be affected by a variety factors. For more read Digestive Enzymes for Gas and Bloating. Bitters or aperitifs are traditionally used to stimulate their production but digestive enzymes in supplement form can really help to top up your levels, so a particularly large or rich meal doesn't sit around poorly digested creating problems like bloating and indigestion. Natural sources of digestive enzymes include pineapples (contains bromelain) and papayas (contain papain). If you're expecting a festive drink or two, it's important to give your liver some support. Particularly if drinking is not your normal style. Herbs like St Mary’s Thistle, Dandelion and Globe Artichoke can help to support the liver processing the added burden of alcohol and rich foods. 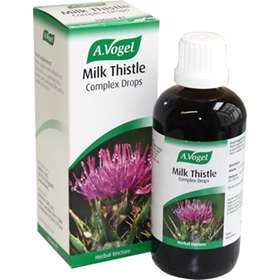 Try products like A Vogel Milk Thistle Complex to help avoid bloating, nausea or a hangover. It can be tricky but exercise is even more important while you’re overindulging. Getting your heart rate up and moving won’t just help to burn off any extra helpings, it will also help encourage digestion, boost metabolism and work off any stress. Getting the balls rolling again after an extended break is often much harder than sticking to your routine in the first place. A gentle stroll after a heavy meal is also great for helping to ‘walk off’ bloating or indigestion. Just because you might allow yourself a festive lack of constraint, the holidays don’t mean you can forget all your good habits. Is that sticky pudding really worth the bloating you know similar foods cause? Ok it is Christmas, but do you really need three helpings? If you get carried away, get back into the habit as soon as possible. Don’t let the entire season turn into a bender. It can be exhausting getting everything done this time of year so be sure to breathe deeply, get plenty of rest, take time out when you need to and enjoy yourself. The digestive system goes into sleep mode when our bodies are flooded with stress hormones, so if you want to enjoy your Christmas feast, try not to let its preparation stress you out. For more read Stress and Bloating. Don't forget to also read Bloating Natural Remedies for more tips on avoiding bloating this Christmas and share with us any tips you have. Brendan http://www.bloatingtips.co.uk BloatingTips Author Brendan is a integrative naturopath, nutritionist and yoga teacher. He has completed training in Naturopathy, Nutrition, Herbal Medicine, Yoga, Iridology and Live Blood Analysis. There aren't any comments yet. Be the first! We use Gravatar to personalise your comments, if you don't have an account, you can create one here. Don't worry, you can still post without one. Thanks! Disclaimer: Bloating can be a symptom of serious illness such as bowel or ovarian cancer. Anyone with persistent bloating should see their GP. This site does not provide medical diagnosis or treatment. The information is provided as-is and is not a subsitute for professional medical advice from a GP or consultant. If you feel ill or notice medical symptoms you should consult your doctor. We are not responsible for comments, link and information posted on this website by third parties (e.g. comments, discussions, etc). All information is © BloatingTips.co.uk and its licensors - all rights reserved. You may quote the articles under fair usage if you link back to the article on this website.